The outdoor placemat sets are the perfect addition to any dining table, bistro table and side table of the collections by Fermob. 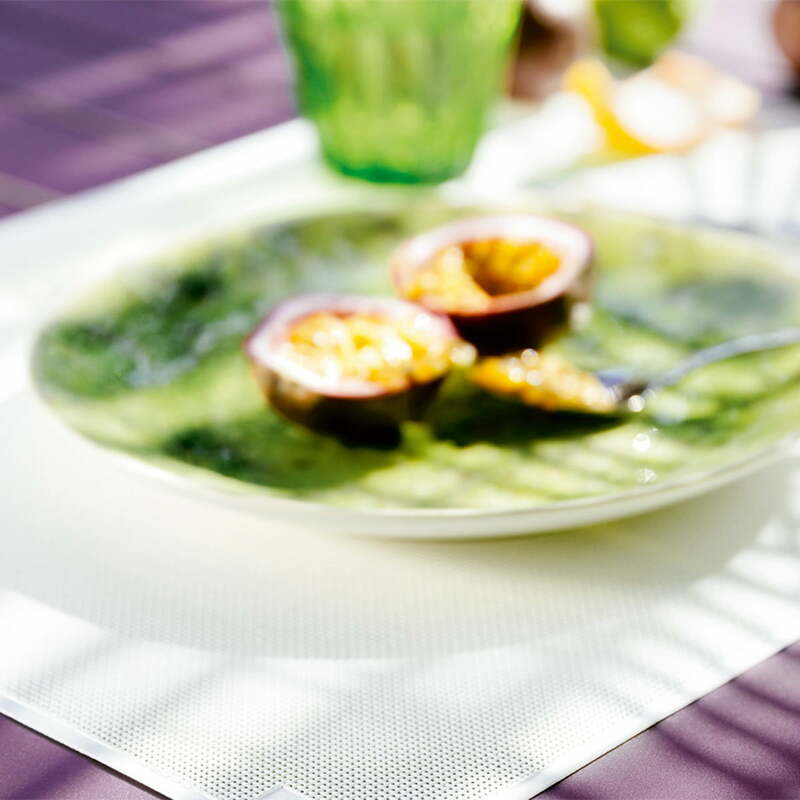 The placemats match the furniture by Fermob not only in its design and colour but also in a similar manufacture: both, placemats and furniture are suitable for outdoor use. 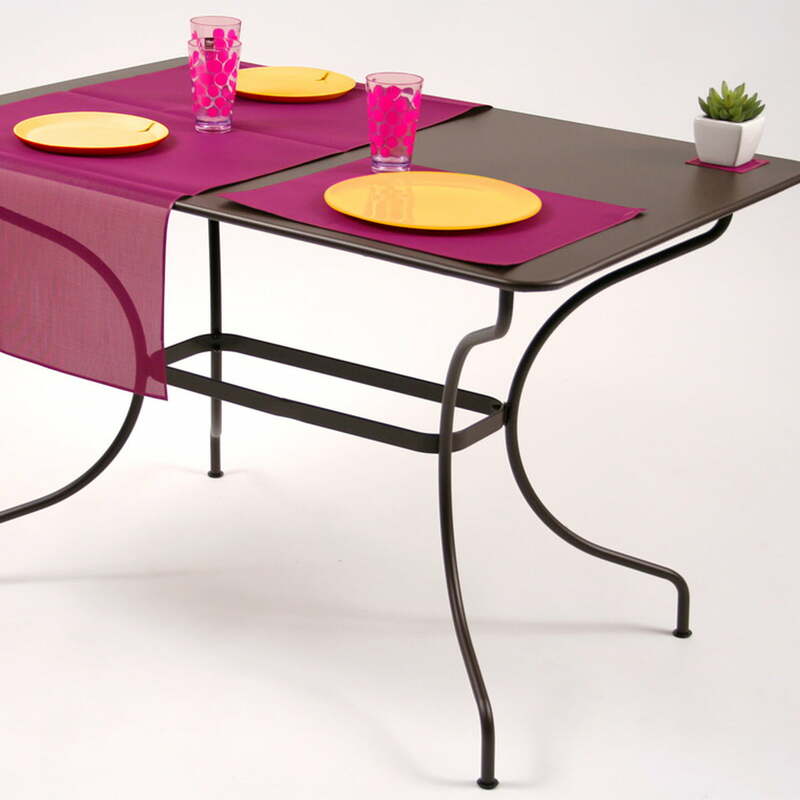 Therefore, the placemat sets can be used without any hesitation for the next barbecue or breakfast in the garden or on the balcony. The placemats are processed in a very smart way and consist of TOG, a technical outdoor fabric made of coated polyester. Thus, the sets are particularly easy to maintain as well as very robust. 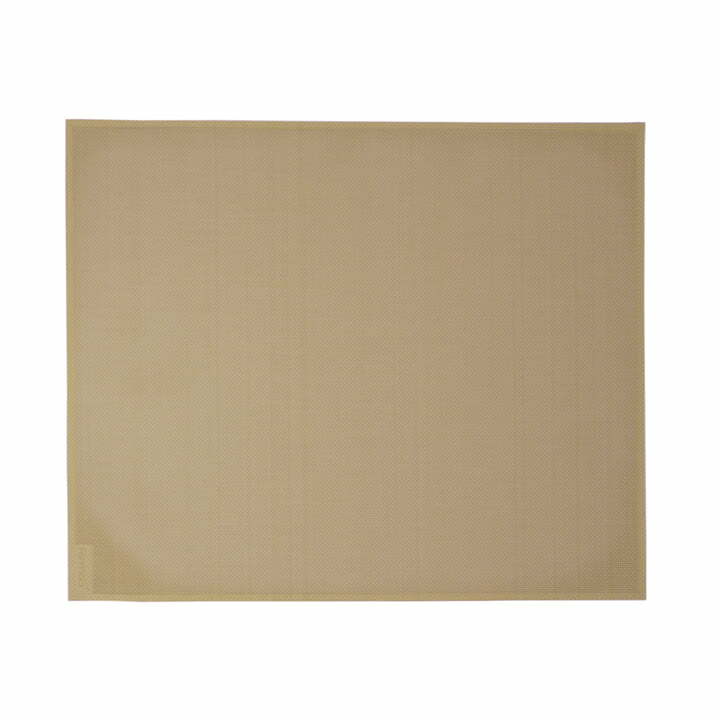 Single image of the outdoor placemat sets by Fermob in muscat. The placemat set is made of a technical outdoor fabric and is suitable for outdoor use. The Fermob outdoor placemat sets are the perfect addition to any dining table, bistro table and side table for all the collections of Fermob. Suitable for outdoor use. 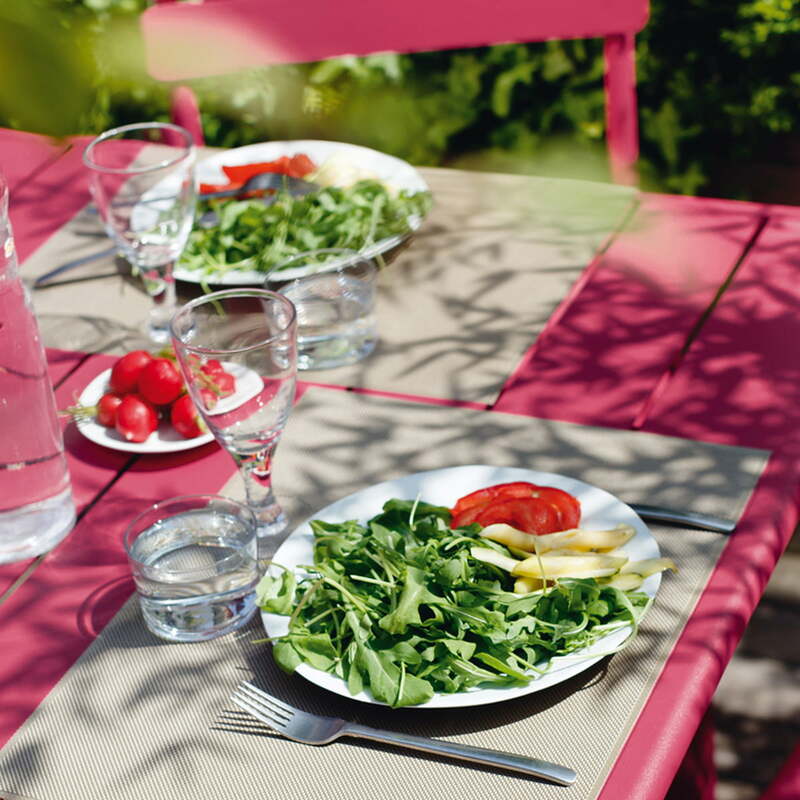 Conerning the colours, the outdoor placemat sets perfectly match the outdoor furniture by Fermob and are just as weather-resistant and weatherproof as the furniture. Complete the Fermob table by either matching colour of the placemat set or create an absolut eye-catcher with a contrasting coloured placemat by Fermob.